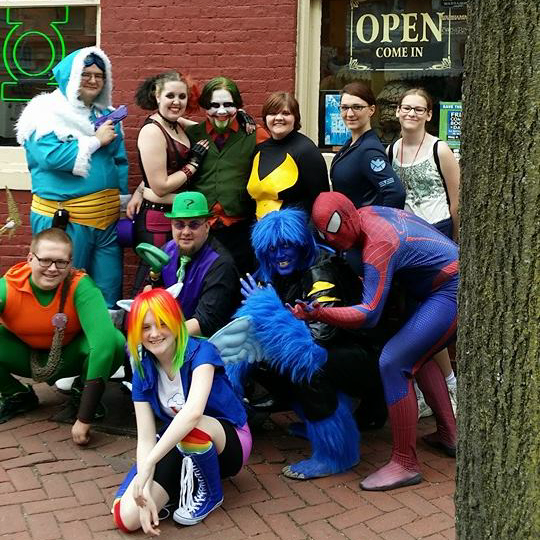 Voted Frederick’s best comic book shop! Located Downtown at 54 E. Patrick St. Frederick, MD 21701 next to the C. Burr Artz Public Library • (301) 663-3039 • [email protected] • Hours: Sun-Tue 11-8, Wed 10-8, Thur-Sat 11-8. Parking An … Read More about Voted Frederick’s best comic book shop! Every other Thursday we play a different game at Brainstorm Comics & Gaming! Come out and play with us and try new games. SIGN UP FOR BRAINSTORM EMAIL ALERTS! Get our newsletter to find out the latest & greatest at Brainstorm. Let us know what you're interested in with the check boxes below!